A Santa-themed bar crawl, Love Actually-themed improv, and holiday markets galore. Break out your Santa suit for a Saturday bar crawl through Dupont. Image via Shutterstock. SCIENCE: The National Academy of Sciences is throwing its monthly Art Science Evening Rendezvous—this time, five scientists will be invited to speak about their work, all of which explores ecology and the environment. There’s a reception afterward. Free. 5:30 PM. COMEDY: Chief Ike’s hosts Open M’Ike, a comedy night that, let’s face it, is probably kind of a dice roll. You’ll hear some lovely comedy, and you’ll hear some people bomb. It goes for four hours, so there’s plenty of time for both. Free. 8 PM. HOLIDAY MARKET: Georgetown kicks off Georgetown Glow, a weekend-long Christmas festival featuring “modern light-art installations,” plus street performances, sidewalk sales, public art, and carolers. All weekend; lights on 6 to 10 PM. MORE MARKETS: Yards Park is also featuring a Christmas market—all weekend, fashion trucks (which are like food trucks but for clothes and jewelry) take over the park. Meanwhile, the nearby Canal Park will feature a “parcel market,” which is more of your standard arts-and-crafts fair, with local retailers and artists, a dining lounge with food from Toki Underground and booze from Bluejacket, and live music. That also runs all weekend. SWEATERS: Ugly sweater parties have apparently gotten so popular that there’s now a National Ugly Sweater Day—or at least a hashtag for it. Head to 14K Lounge for happy hour with your fellow unfortunately dressed pals. Ugliest sweater wins its wearer a brunch for two. Free. 4 PM. IMPROV: True story: I just saw Love Actually for the first time—what a good movie! Anyway, Washington Improv Theater hosts Improv Actually, which is just like the movie except there’s no Keira Knightley or Colin Firth or a script. The theater is also hosting a canned-food drive for Martha’s Table, so bring something to contribute. Tickets ($12) are available online. 8 and 10 PM. DANCE: DJ lil’e puts on a Lady Gaga vs. Madonna vs. boy bands dance night at 9:30 Club. Expect the usual big pop hits and sweaty crowd. Tickets ($15) are available online. 8 PM. MARKET: At this point, you are totally out of excuses to procrastinate on your holiday gift-shopping. Yelp hosts its Totally Bazaar at the Monroe Street Market, featuring local artisans, pop-up shops, massages, photo booths, a DIY s’mores bar, ice sculptures, Christmas trees, and lots more. Free. 10 AM to 2 PM. BAR CRAWL: Another Christmas tradition is the Santa (or otherwise Christmas-themed) bar crawl. The first one is the DC Santa Crawl, featuring several thousand debaucherous Santas. It’s not quite as off-the-rails as New York’s SantaCon, but it’ll probably still get wild. It starts at BlackFinn or Front Page (you choose) and heads to Rumors, Mad Hatter, Public, Irish Whiskey, and other bars in Dupont. Tickets ($15) are available online. 1 to 10 PM. 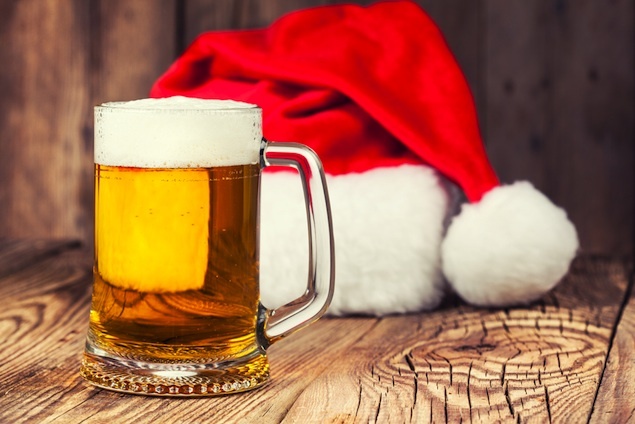 OTHER BAR CRAWL: For a decidedly lower-key bar crawl, head to Adams Morgan for the Ugly Sweater Charity Bar Crawl, which hits Southern Hospitality, Carriage House, and one other bar that’s TBA. Proceeds benefit So Others May Eat and the Washington Animal Rescue League. Free. 2:30 to 9:30 PM. DANCE: La Maison Française hosts its black-tie-optional holiday party, A Parisian Discotheque. Expect lots of music and dancing, an open bar for the first hour, and a ton of ridiculously good-sounding desserts. Tickets ($50) are available online. 9 PM. ARTS & CRAFTS: Last market of the weekend, I promise. Grump at Artisphere which might be the best market of the lot for: More than 75 artists show off their wares, and there’s a make-your-own crafts area and kids’ activities. Free. 11 AM to 5 PM. IMPROV: A Hot & Sweaty Holiday 5 is an improv night featuring some of DC’s best troupes. As you might expect, the comedy will be holiday-themed. Tickets ($10) are available online. 6 and 8 PM. STORYTELLING: SpeakeasyDC continues its experiment with longform storytelling. This week, freelance photographer Keith Mellnick presents “I’m Not Crazy,” a story about the two years he spent taking pictures in Kazakhstan. Then, Ina Brege talks about growing up in a family of artists and entertainers in “Off Script.” Tickets ($22) are available online. 5 PM at Woolly Mammoth.